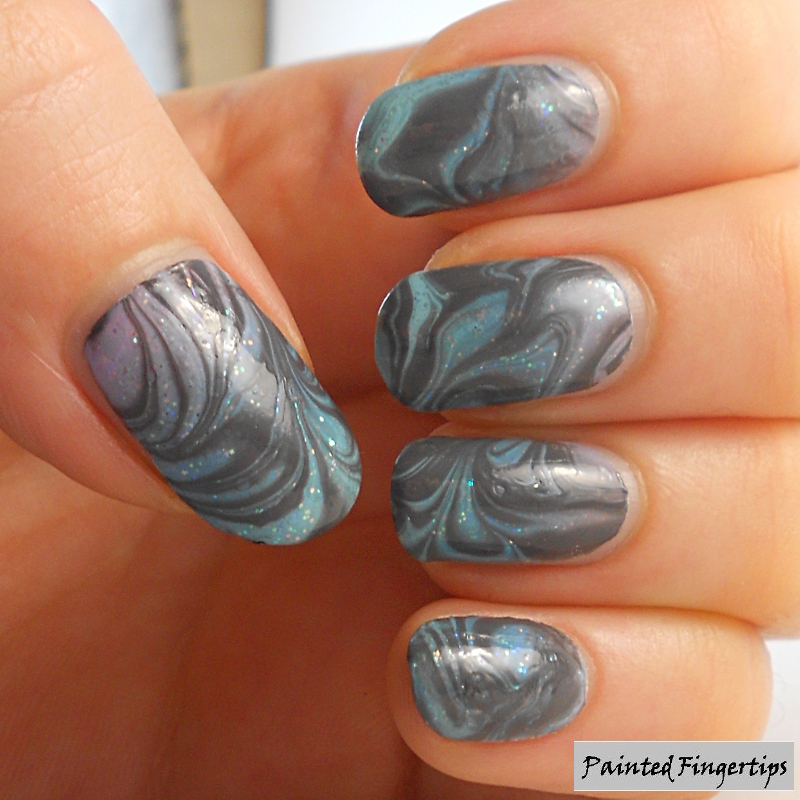 It’s Water Marble Wednesday! 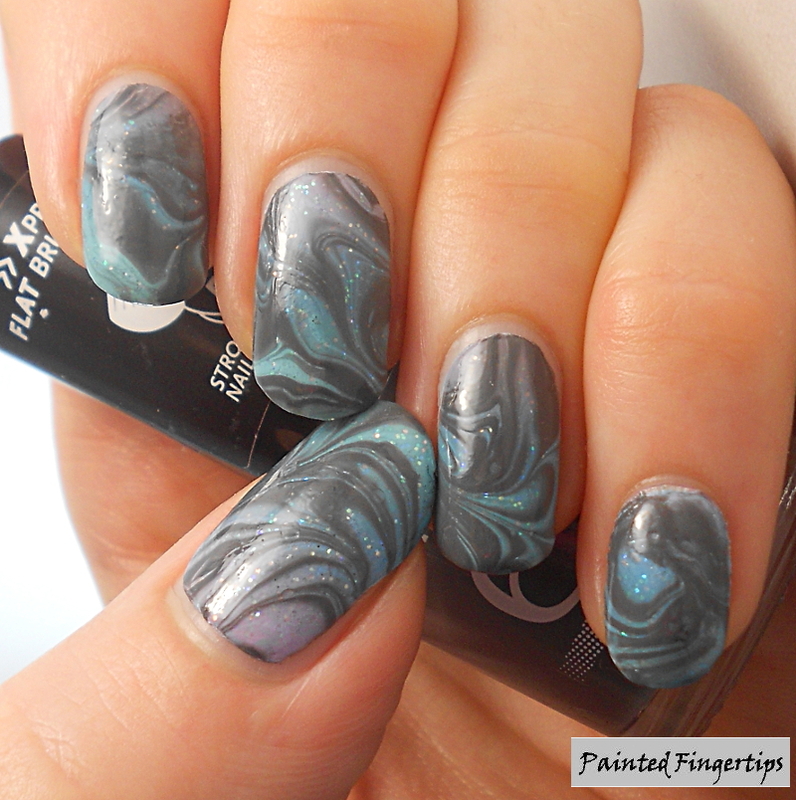 Today I’ve tried a marble over a delicate gradient. First up let’s take a look at the gradient alone: I used three of my favourite Tip Top polishes – Cha Cha Cha, Beach Babe, and Fairy Dust. On my thumb nail you see an example of what happens when you try using a sponge for a gradient which has gotten too old… the sponge started to disintegrate. It’s been covered with the gradient but you can see it looks a little uneven. 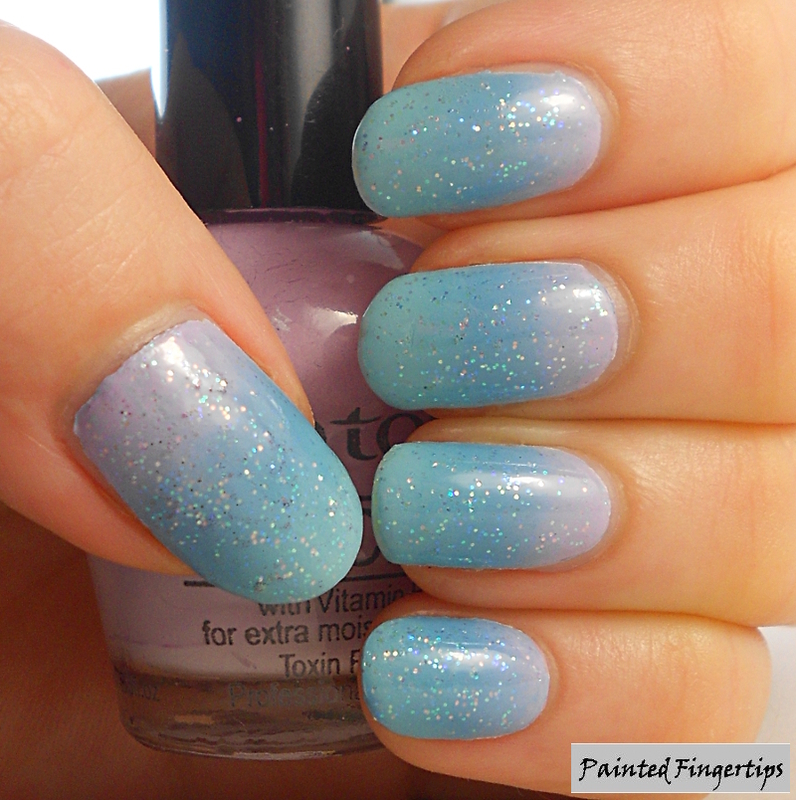 I topped the gradient with Sinful Colours Opal Glitter. I planned to marble over this with black and clear, but my black polish is a bit old and has gotten too thick for marbling. I decided to go with a grey instead and I’m glad I did – I think it went better with the delicate colours of the gradient. I used Rimmel Man Overboard and Essence Absolute Pure, a clear polish, for the marble. 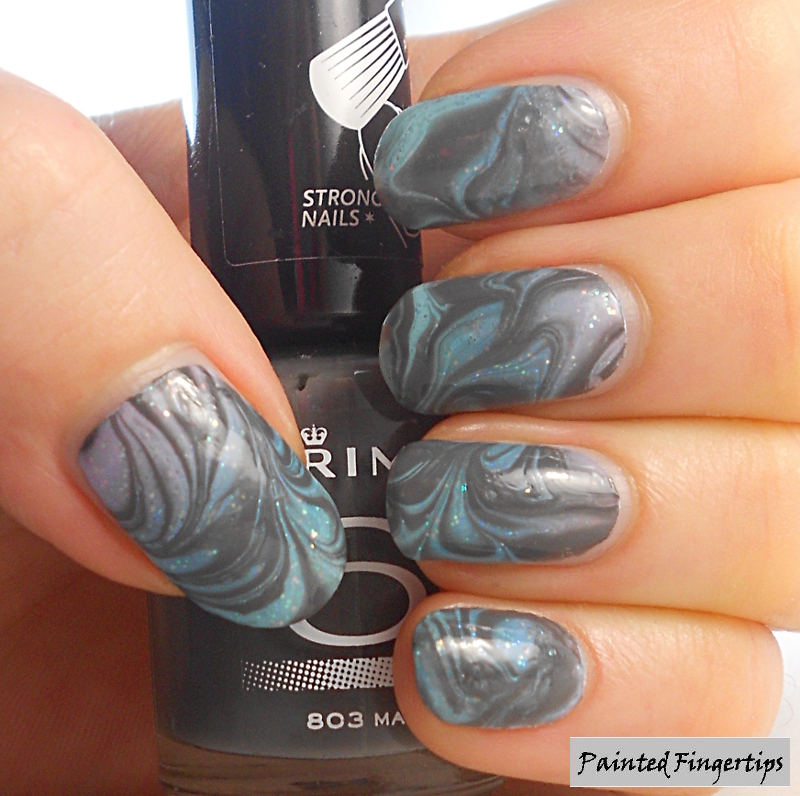 I just went with random swirls and tried to make sure parts of the gradient remained visible. Ooo I like it. That’s a pretty and unique look! Oooh I absolutely love both looks! There is a work event coming up next month and the theme is Hues of Blue so of course I’m wearing blue dress but I was thinking of doing something cool with my nails. I’ve tried marbling before but never the gradient. I would love to try it out. Do you do it with just normal makeup sponges or something else?